Pioneers in the industry, we offer cranes rental services, industrial crane rental services, 150 ton mobile crane rental service, material handling cranes rental services, 100 ton crane rental services and mobile crane rental services from India. With our consistent efforts and high work standards, we have developed a strong presence in the market as a leading provider of Cranes Rental Services. These services are rendered under the supervision of trained and knowledgeable personnel. Our cranes are available for the customers in different varieties, so as to fulfill the variegated requirements. 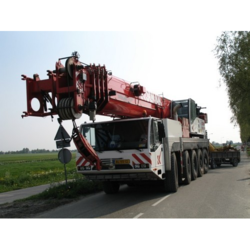 The cranes are always quality tested with the aid of skilled mechanics, with an aim to provide complete customer satisfaction as soon as he takes the first drive. These are provided at the stipulated place within the limited time frame. Our Cranes Rental Services are widely edged in the market over other similar availabilities for their customer friendly costs. To establish a prominent presence in the market, we are engaged in offering our clients Industrial Crane Rental Services. We provide cranes for the construction and mining sector for the lifting of heavy and medium weight materials. These cranes are sourced from authentic vendors of the market and kept in good condition. 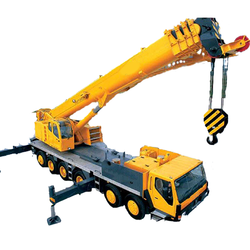 These cranes operate in a hassle-free manner and can lift heavy materials with ease. 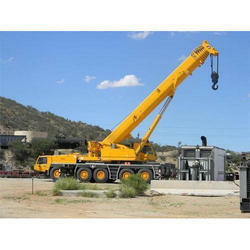 We offer these Industrial Cranes Rental services at reasonable rates to clients. With our prominent presence in the market, we are leading entity engaged in rendering 150 Ton Mobile Crane Rental Service. These services are provided to the customers according to their requirements. The cranes are equipped with a hoist, chains, sheaves and wire ropes. These can be used for both lifting lower materials as well as to move them horizontally. Aimed to safely execute different material movement operations, these Material Handling Cranes Rental Services are designed by our organization. We quality test these cranes at our unit with the aid of our skilled mechanics and then deliver at the customers' said place. These services are availed by various construction experts and contractors for performing operations in the sites. The cranes we are offering for hiring are smooth in movement and fully operational. These Material Handling Cranes Rental Service are provided to the customers within the limited time frame. With the use of our advanced technologies, we have been able to offer 100 Ton Crane Rental Services for construction, which is applicable for various purposes. Our range of products used in these services includes mobile crane, crawler crane, and telescopic crane. We have been setting benchmarks of success in the market as a prominent organization engaged in offering Mobile Crane Rental Services. 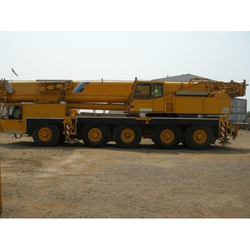 Offered crane is well equipped with a hoist, chains, sheaves and wire ropes. 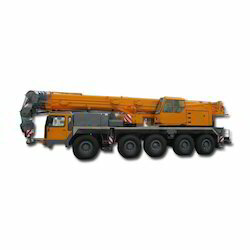 Offered mobile crane is suitable for handling different operations like maintenance, construction, tree trimming and material handling. 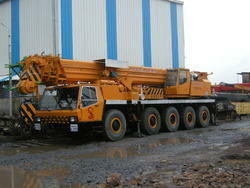 These Mobile Crane Rental Services are provided to dockyards and warehouses. We offer these services at affordable rates.